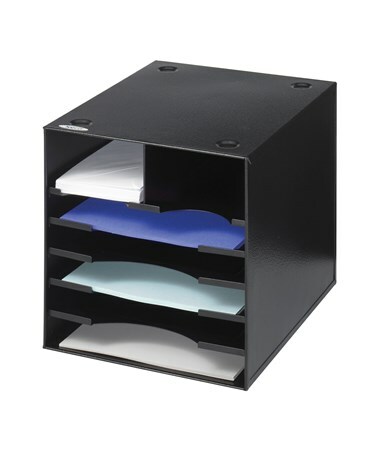 The Safco Fixed Compartments Steel Desktop Organizer is a tough desk organizer that provides more storage and keeping documents sorted while saving desk space. 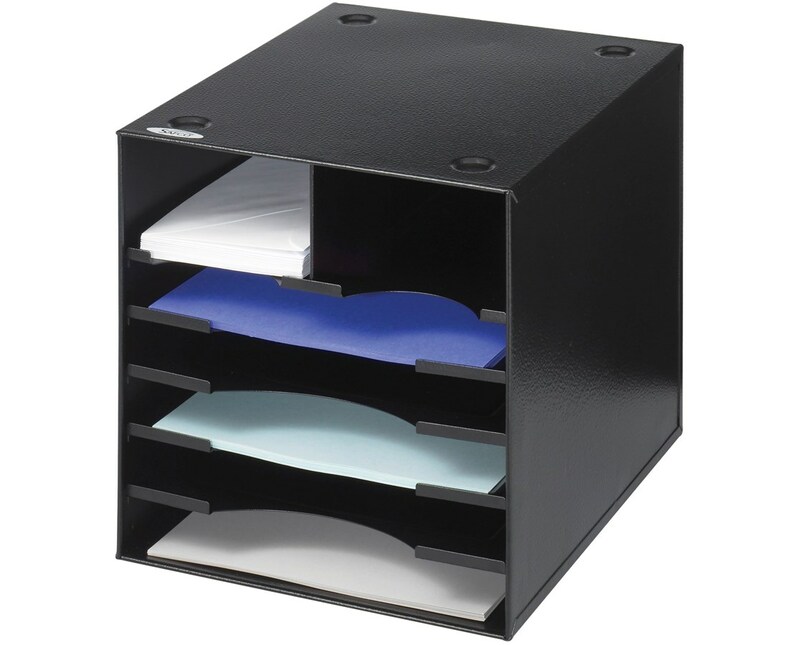 It features seven compartments, five for organizing stationary and two for envelopes. This organizer can be stacked up to three units high. It is made of heavy gauge steel with a durable powder coat finish. It is also GREENGUARD certified for low chemical emissions.